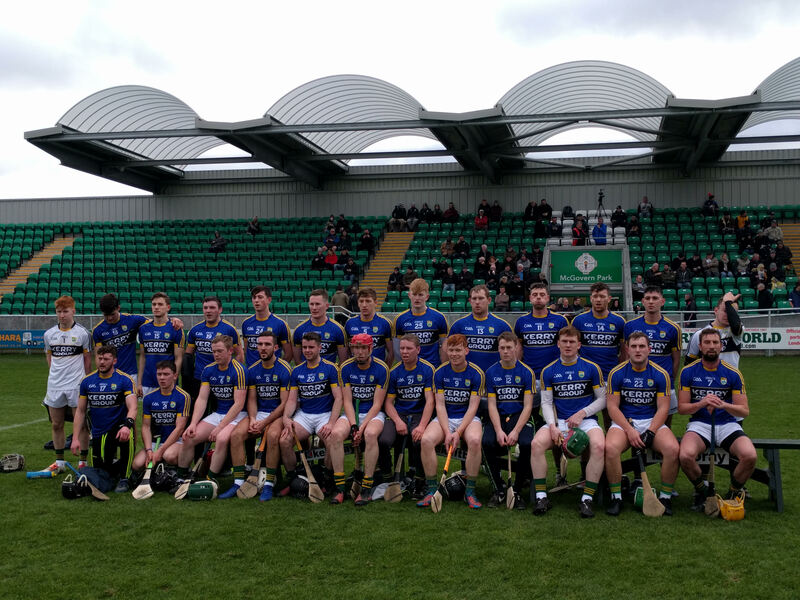 The final score read Kerry 2 goals and 30 points to 1 goal and 13 points, and the score really reflects the manner of the win with Kerry totally dominating from the fifteenth minute when Jordan Conway blasted to the net to put Kerry ahead by three points 1.07 to 1.04. Colum Harty had opened the scoring for Kerry after thirty seconds with a fine point, thirty seconds later the ball was in the Kerry net by Martin Duggan the London full forward. Prior to Jordan's goal Colum Harty, Daniel O'Carroll and Jordan Conway had a point each, Shane Nolan added three points to level matters on thirteen minutes. Richard Murphy replied with a point for London after Jordan's net shaker, Brandon Barrett swapped points with Chris McAlinden, Jordan Conway recieved from Padraigh Boyle to tap over the bar. Shane Nolan, had his fourth point on twenty minutes, Padraig Boyle, and Paddy Kelly had a point each before Kevin Reid pointed for London to leave the score London 1.07 Kerry 1.12 on twenty five minutes. Kerry were by now running like a well oiled machine with great first touch and crisp accurate passing. Shane Nolan resumed his pointing two minutes later with a free before Richard Murphy Padraig Boyle, Chris McAlinden, and Martin Duggan exchanged points. Daniel O'Carroll then recieved from Padraig Boyle to split the posts, to leave the halftime score Kerry 1.15 London 1.10. During the break Jack Goulding replaced Brandon Barrett and Rory Horgan came on for Bryan Murphy who had a collision with the pitch fencing. Shane Nolan pointed a free, three minutes later Daniel O'Carroll found his cousin with a pass and Padraig Boyle netted. Philip Lucid replaced Paddy Kelly, Shane Nolan and Richard Murphy exchanged pointed frees, Jack Goulding found Padraig Boyle with a peach of a pass and Padraig stuck the ball in the net. Shane Nolan added a further four points Jack Goulding and Padraig Boyle had one each to leave the score Kerry 2.23 twenty four minutes gone in the second half. Paudie O'Connor made a return from injury when he replaced Shane Nolan, Daryl Roberts and Martin Duggan had a point each for London before the end, Kerry pointed six more times from the sticks of Dan Collins, Paudie O'Connor and an absolute beauty from Colum Harty, Colum was immediatly replaced by MauriceO'Connor, his brothetr Paudie added to the scoreline along with Philip Lucid and Daithi Griffin. Stephen Murphy, John Buckley, Bryan Murphy (Rory Horgan), Sean Weir, James O'Connor, Daniel Collins(0.01), Tom Murnane, Daithi Griffin (0.01), Brandon Barrett (0.01) (Jack Goulding(0.01) Patrick Kelly(0.01) (Philip Lucid(0.01), Shane Nolan(0.11) (Paudie O'Connor(0.02) Daniel O'Carroll (0.03), Padraig Boyle(1.03), Colum Harty(0.03) (Maurice 0'Connor) Jordan Conway (1.02). On a day where there were twelve different scorers and Shane Nolan scored eleven points mainly from frees, my man of the match was Jordan Conway who was everywhere defending attacking and linking up with both defence and attack he also scored a goal and two points from play. Very hard to see any team in this division matching this Kerry team, remember they began today without Martin Stackpoole, Michael Boyle, Darren Dineen and Shane Conway.